The Asia Pacific University of Technology & Innovation (APU) is amongst Malaysia’s Premier Private Universities, and is where a unique fusion of technology, innovation and creativity works effectively towards preparing graduates for significant roles in business and society globally. APU has earned an enviable reputation as an award-winning University through its achievements in winning a host of prestigious awards at national and international levels. 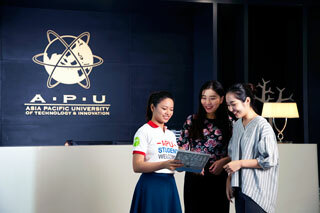 Originally established as the Asia Pacific Institute of Information Technology (APIIT) in 1993 and Asia Pacific University College of Technology & Innovation (UCTI) in 2004, APU’s sound approach to nurturing school leavers into qualified professionals has resulted in our graduates being highly sought after by employers. With an international student community of more than 11,000 students from more than 120 countries studying in its Malaysian campus, APU offers a truly cosmopolitan learning environment which prepares students well for the global challenges which lie ahead. 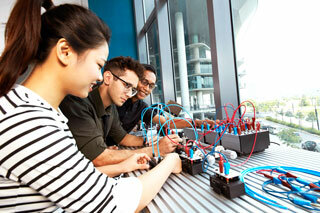 APU offers a wide range of degrees with Technology as a common core. It is APU’s aim to nurture and encourage innovation through our programmes, with the intention of producing individuals who will learn, adapt and think differently in new and better ways. Proven Track Record of Employable Graduates – 95%+ Employed by Graduation. More than 40,000 Graduates & Alumni. Over 12,000 students from more than 130 Countries. Award-Winning Students who regularly win both local and international competitions. Engineering Degrees Accredited by Board of Engineers (BEM). Engineering Degrees Internationally Recognized under Washington Accord. With an international student community of more than 12,000 students from more than 130 countries studying in its Malaysian campus, APU offers a truly cosmopolitan learning environment which prepares students well for the global challenges which lie ahead. APU offers a wide range of degrees with Technology as a common core. It is APU’s aim to nurture and encourage innovation through our programmes, with the intention of producing individuals who will learn, adapt and think differently in new and better ways. Student Services at APU aims to provide support, assistance, advice, consultation, and essential services to all APU students and to cater to the well-being of students beyond their academic needs. It is a one-stop centre where questions about APU courses, policies, procedures, services and events can be obtained. We provide on-campus and off-campus accommodation within guarded environments, while students are exposed to clubs, societies, and special interest groups on-campus. To ensure that our students get the best out of their life at APU, we offer personal counselling services geared towards helping them with academic concerns as well as emotional matters. All counselling is done in a safe and confidential environment by qualified counsellors. APU Career Centre connects our students with over 10,000 potential employers to provide internship and job opportunities. Annually, they organize Mega Career Fairs on campus as well as career talks to help students equip themselves with necessary employability skills. Professionalism is our philosophy, where students are exposed towards workplace ethics and professional code of conducts on-campus. The campus simulates a real-life working environment, allowing students to adapt to the professional working environment even before they graduate. At APU, students are exposed towards our core values: Technology & Innovation, Professional Development, Multiculturalism and Cultural Diversity. While teaching and learning processes pay focus on practical learning experience, innovative thinking is stimulated among students of all programmes, encouraging them to think outside the box and to solve the world's biggest problems. The multicultural experience at APU is spectacular - with students from over 130 countries studying on-campus, both local and international students are exposed to the amazing experience of cultural exchange and interactions that are happening on a daily basis. Teaching and learning facilities are redesigned to suit the needs of the industry, in line with the Industrial Revolution 4.0, a strong emphasis on cooperative learning is reflected at APU's new iconic campus, through the abundance of communal spaces and discussion areas, where aspiring young minds come together to formulate innovative ideas. Wings spreading out from the Spine offer creative spaces intended to foster self-directed learning and teaching. Highly conducive teaching & learning spaces, study lounges, studios, laboratories, tutorial rooms, breakout rooms and syndicate rooms sit alongside modern, fully equipped lecture theatres where core knowledge is taught by well qualified academics. All spaces are carefully designed to create an unforgettable learning and lifestyle experience that lasts for a lifetime, while enabling professional learning and cultivating global mindsets.
" The atmosphere in APIIT is very relaxed although the amount of college work is a lot." It's experience and memories that will surely last a lifetime. There is more to it than just education. The atmosphere in APIIT is very relaxed although the amount of college work is a lot. Moreover, the people from the General Manager to the Lecturers and the receptionist are very friendly and helpful. And now with the Students Recreational Club (SRC), APIIT is becoming increasingly alive and exciting each day. It is a great honour that I can share as a student of APIIT. I study at UCTI which has a partnership with Staffordshire University, UK. UCTI offers good quality education with UK certification to students from all over the world at a much more affordable price. And the outcome - the degree - is just the same as the one from the UK! So when it came to the time to choose a university, I had no doubt about UCTI and Malaysia! I thought of going to the UK when sending out my applications to universities but Malaysia seemed more suitable for me in terms of expenses and life-style. I had visited Malaysia as a tourist before and I knew that this was the place I want to spend my student life in! The blend of nationalities and cultures amazed me and I knew I was not going to feel out of place here! I was the top Maths student at my previous school and I always knew that my path was to apply Maths in daily life, so Computing seemed a suitable major. I found out that Malaysia is one of the leaders in technology in South-East Asia and UCTI came up to be the foremost institute in IT. So the choice was made and I am 100% sure I will never regret it! The experience I’m getting at the moment is just overwhelming! I’m a year 2 student, working part time and a member of the Student Council too. My life has been made so colourful by my friends from all over the world! We all share so much in common yet we are so different! I really enjoy pursuing my UK degree in a truly Asian environment! “It’s been almost 3 years since I started studying in Malaysia; and I love Malaysia and the University. At first, I thought I would only meet local people, and some from other Asian countries. However, I have actually met people from all around the world, from more than 80 countries at UCTI. Through the various people I have met from all over the world, I have experienced a unique study environment and it is fun too. When we get to know each other with people from all over the countries, we are able to share our culture with them. It is just an extraordinary environment. It was a new step of my life, and it began at my university, UCTI. From the first week, my seniors and the staff of the university were very welcoming! I felt as if I was inside the hurricane of astonishing events. Members of the Students Activities Recreational Council invited me to participate in different activities like King and Queen Hunt, Charity Bazaar Auction, Multicultural Night and others as soon as I became a freshman. The university itself is full of resources: there are computer and engineering labs, fully equipped classrooms, valuable and useful library with tons of books, journals, newspapers and CDs. As for the teachers, they are ready to help every student and give useful information based on their own experience. UCTI also offered me really precious and exciting opportunity to be one of the student ambassadors to represent my native country, Kyrgyzstan. This chance gave me a huge experience in the professional world. To all the new international students to come, I can only add that even a journey of a thousand miles starts with a single step. "I experience a real life environment." "I'm happy about the amount of practical work we get to do through assignments, projects and open lab facilities... lets us experience a real life environment a real life environment before we go out to work in the real world." When I first arrived I needed help with my English. I found it reassuring to have staff and students who are supportive. Now I think my English has much improved…right? Shamil, as he prefers to be called, is one of the youngest students in his intake. At only 20, he is already a level 2 student pursuing his BSc (Hons) Degree in Computing specialising in Multimedia. He was born in Colombo and spent 11 years of his life in Bandar Seri Begawan, Brunei. He joined APIIT in February 2006 after obtaining his Diploma in Computing from an institution in Brunei. Shamil said that he heard about APIIT through his parents who knew about APIIT Sri Lanka. An Internet search resulted in Shamil discovering APIIT Malaysia and he joined us shortly after that. Shamil said he is impressed by the level of professionalism at APIIT and highlighted that his lecturers and colleagues are truly helpful. He found the course here challenging but manageable. Shamil’s future plan is to get into the IT industry and to become a 3D animator. He intends to complete his Masters Degree in the same field as well. I am proud that Asia Pacific Institute of Information Technology Cricket Club (ACC) has won its very first match in the short history of APIIT Cricket Club. Nagamatsu, our Japanese student from Fukushima has been in Malaysia for the past two and a half years. He heard about APIIT from his counsellors while he was in school and when he decided to take IT, this was the logical choice. He successfully completed his Diploma in computing with us and is currently pursuing his BSc (Hons) degree in computing specialising in Mobile Computing. He considers the lecturers at APIIT to be instrumental in providing him with a good quality education. He says that he has adapted well to life here in Malaysia and has become a big fan of ‘teh tarik’ and chicken rice. He also said that the locals are friendly and when he completes his Bachelors degree, he plans to enter the Japanese employment market with the skills that he has gained from his experience and education here at APIIT. Although I am a foreign student I feel very comfortable here in APIIT as I am always taken care of by both my classmates and lecturers. "The preparation the lecturers give to fresh graduates adds to our confidence to believe in our abilities."" The lecturers have been wonderful. The preparation they give to fresh graduates adds to our confidence to believe in our abilities. The real stories they presentà.add to our growing. Wisdom prevents us from making the same mistakes'. As an undergraduate student at APIIT & UCTI University, I sought several learning experiences. I am majoring in BSc (Hons) in Computing and will graduate next month. The experience at APIIT has been like a roller coaster - there were highs and lows during my time but it was a great journey. APIIT has the best lecturers in various fields and they have vast experience and knowledge. The best part is that they are always ready to assist you in any way possible. The facilities at APIIT are also of the highest standard. We have one of the best labs in Malaysia and a library which has a wide range of books some of which you can access online. The best thing about APIIT is that they will teach you about professionalism from the very first day and that includes your attire. All students at APIIT have to dress in formal attire - this helps build students’ inner consciousness and confidence. I will never forget all that APIIT has done for me. They were there for me whenever I needed them. APIIT gives a lot of opportunities to students and exposes them to various activities. For example, I am a student ambassador at APIIT and this has built my leadership and communication skills. This is because I get to handle day to day student activities and assist them in various matters concerning their welfare and applications. I also get to travel abroad for student recruitment and meet different prospective students and their parents. The best part about traveling is that you get to travel with the best person in the office and you get to learn a lot of things. The other major factor is the personnel working at the University are always there when you need them for any help or urgent matters. There is so much to write about APIIT but I can proudly say that APIIT is the best university. It was the best decision I have made and I hope I can continue to be in APIIT for many days to come. Malaysia is a very peaceful country and very conducive for students. The people are very friendly and the culture very interesting. The food was a problem for me when I first arrived but I slowly got used to it and now I am familiar with the different types of Malaysian delicacies such as Nasi Lemak. There are also many places to visit in Malaysia which is very important for a student as they need to take some time off from their studies and relax. Malaysia is a shopping heaven as they are a lot of shopping malls everywhere. 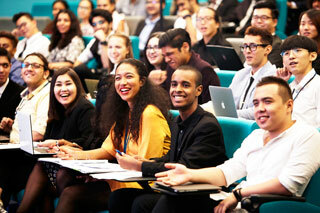 In conclusion, APIIT is the best place you can study at and Malaysia is a very nice country to live and study in. Zhu Weisong heard about APIIT when he consulted one of his close friends in Malaysia while he was looking for an institution that offered IT courses. Weisong, who comes from the Xinjiang province of China, was quick to learn about APIIT and its reputation, and decided to join us. He said that the lecturers’ experience in the IT industry was what got him interested. Weisong said that he enjoys studying at APIIT because of the teaching styles and also the facilities that are readily available to the students. He is currently in level 2 of the BSc (Hons) Computing Degree, and completed his Diploma in Computing at our TPM campus as well. Weisong felt that the workload and assignments kept him motivated and made him felt that there were objectives to be met and something to do. Once he completes his Bachelor’s Degree, he is thinking of moving on to pursue a Master’s Degree in the field of Computing before returning to China to start his own business based on the knowledge and skills he has acquired at APIIT. Asia Pacific University of Technology & Innovation (APU) is amongst Malaysia’s Premier Private Universities. With an international student community of more than 11,000 students from more than 110 countries studying in its Malaysian campus, APU offers a truly cosmopolitan learning environment which prepares students well for the global challenges which lie ahead.